Charitable contribution, as a whole, has been highly influenced by digital platforms. Charitable organisations are exploring strategies that enables online giving through digital platforms to raise more fund and save time. Mobile App for charity can help find new donors from across the world. 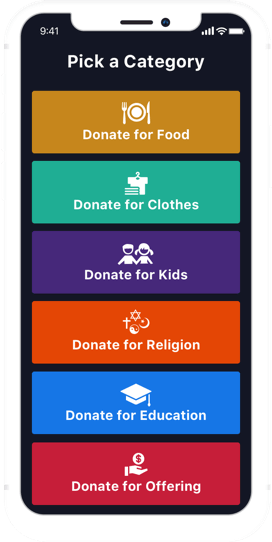 Charity Mobile application can increase donation for individuals and organisations. It can make donating simple, fast and effortless. Online donation via mobile app can enable NGOs, NPOs and individuals to support a cause by allowing people to contribute online. 31% of donors worldwide give to NGOs located outside of their country. Total charitable giving grew 4.1% in 2016 and 5% in 2017. Foundation giving in 2016 increased to $58.28 billion. Communication: Platform should provide access to donors’ contact informations. Donors may appreciate if receipts of donation confirmed transactions. Receiving Payments and Monitoring Transactions: The platform should ensure that no online donation transactions goes failed. Option to donate anonymously: This advance feature can allow donors to remain anonymous. This may help raise funds for sensitive causes. Accepting international donations: The platform should be able to accept different currencies and foreign cards to receive donations from abroad. An app that helps charity raise money by walking, running or cycling. Share the Meal apps enables users to donate 50 cents to feed one child for one day, at one tap on their smartphone. A charity app that lets users donate one dollar (by a corporate sponsor) to any specific project that charity is doing. Want to develop charity donation application? When user is near beacon enabled donation box, he/she will receive a notification along with cause details. User will be able to donate with one tap on their smartphone using beacon based technology. 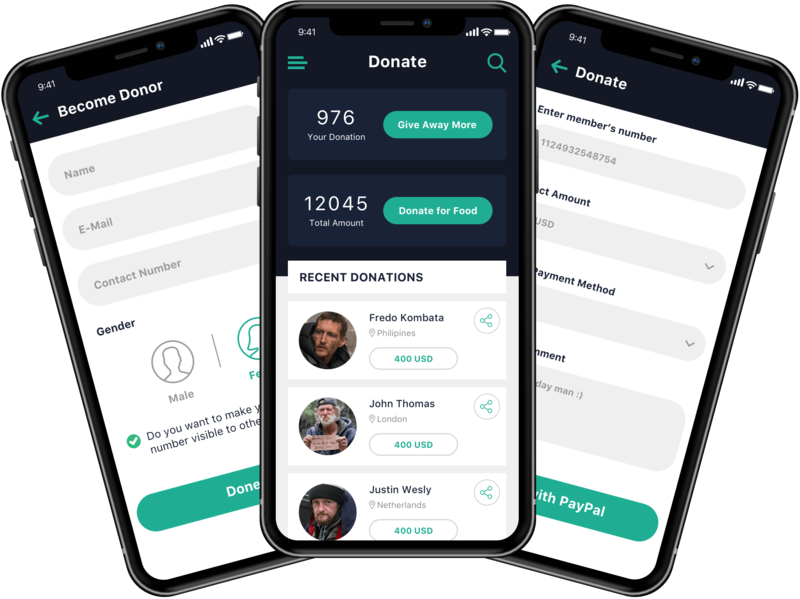 Finally, by putting our rich and deep experience in blockchain, we help you add another layer of security to the donation system on the mobile application. Why Let’s Nurture for developing a donation application? It is vital to get in touch with the app development company that has the expert consultants, Mobile and Web developers. Only the best will be able to help the purpose of entering the market with the right strategy along with the best online donation application having flawless UI/ UX and standout features. We would love to build charity mobile application for you. Have an !dea to develop charity donation application?